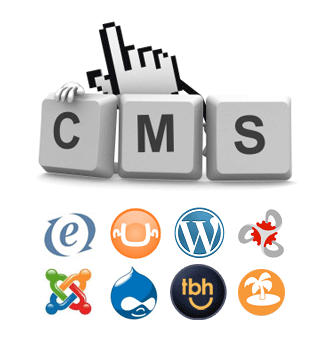 Most of the sites in the Internet are now using CMS. The reasons for that are obvious. The main one is that you don’t need to code – basically what you need to do is just clicking buttons. This applies to both functionality and design, so, the role of the administrator is mainly adding and managing content. If comparing a site with a house, with CMS you just move to a house and put your things into it. Without CMS, you would need to build the house first. So, if building houses does not apply to you, then CMS is your friend. But this article is not about adavantages of CMS. It is about pitfalls. – Always have a fresh backup at hand. It doesn’t help to avoid hacking but helps to restore your site quickly if it is defaced or broken. – When installing your CMS (e.g. WordPress), use strong password, custom username and custom installation directory. The latter is less obvious but even more important. – Install a basic security plugin. Following the advices above still doesn’t give a guarantee that the site will be fully safe. However, the chances of being hacked will be much lower. Another pitfall is limited functionality. Each CMS comes with some specific range of fetaures and options which are good for a basic and standard web-site but not enough if you need something special. With open-source CMS (take WP) adding functionality is possible through installation of plugins. However, it puts you into a different trap: having too many plugins means abusing resources of your hosting (especially if it is a shared package). Not to mention that performance of the site will get slower and less stable. There is no ideal solution for this one. So, If hiring a developer does not apply to you, you will have to accept that one can’t make a silk purse out of a sow’s ear and just search for a golden middle between too little funtionality and too many addons. And one more pitfall is slow loading of the pages. The loading speed depends on several factors such as response time and bandwidth of the server, redirects and scripts. However, we are now talking not about an additional script eating your performance but about CMS itself being such a script. Otherwords, an HTML page alone is loading faster than the same page as part of the CMS-using website. With open-source CMS this problem can be partly resolved by installing a caching plugin (it simply converts awkward pages created by CMS into HTML for faster loading). Even though it’s better to have less plugins (see the previous paragraph), a caching plugin is a must-have one. Among other common disadvantages of CMS, users also often name necessity of learning how your CMS works and if you change CMS – you need to learn it from scratch. However, in our opinion this is not as complicated as it seems and no match to the three pitfalls listed above. Most of the interfaces are user-friendly and you begin learning the basics more or less quickly and easily regardless of your past experience. In the same time, we do not doubt that the more you know about your CMS, the better site you can create. The fact that CMS have their pitfalls doesn’t mean that you should avoid them. Especially, considering the fact that in most cases you don’t have alternatives. Just be prepared and remember that there is no perfect solution, but there can be one which suits your needs best.